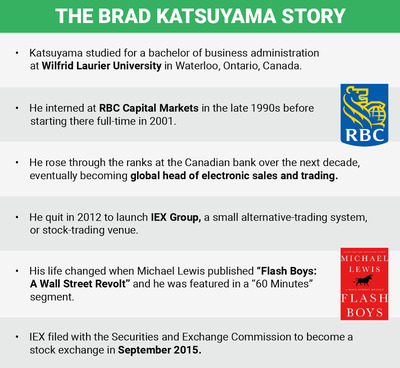 It’s been a wild ride for Brad Katsuyama, the CEO of IEX Group. 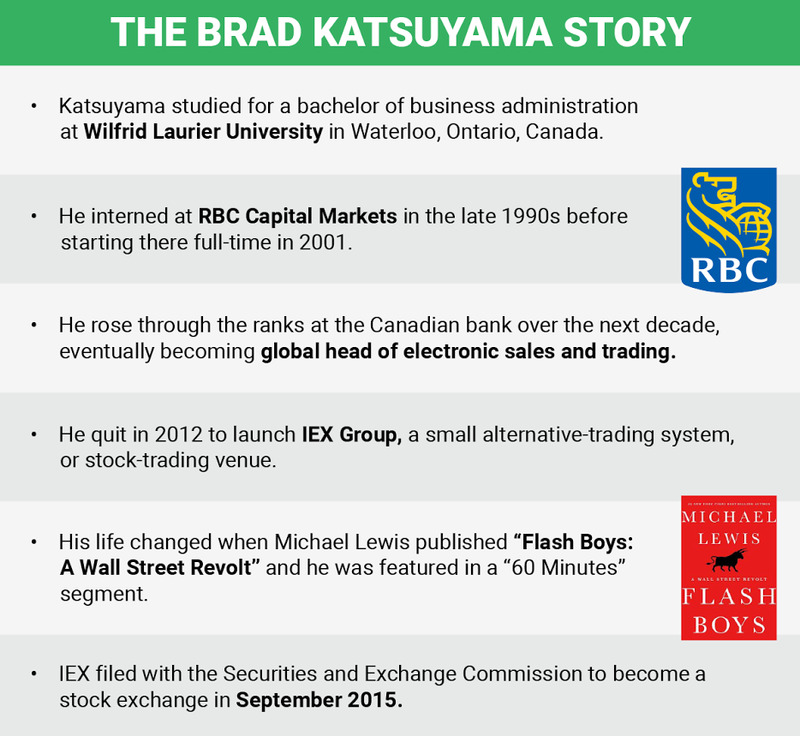 The mild-mannered Canadian went from relative obscurity to a Wall Street celebrity in 2014 after Michael Lewis published “Flash Boys,” a book focused on the ills of high-speed trading and Katsuyama’s efforts to build a market that protected investors. Since then, IEX has filed with the Securities and Exchange Commission to become a stock exchange, kick-starting an ugly battle with the incumbent exchanges. Nasdaq recently said that the SEC could be sued if it approves IEX’s application to become an exchange, while Jeffrey Sprecher, CEO of Intercontinental Exchange — which owns the New York Stock Exchange — has called IEX “un-American.” The SEC is set to make a decision about whether to approve IEX’s application by June 18.
Business Insider recently spoke with Katsuyama about high-frequency trading, his mission, and the controversy surrounding the firm. This interview has been edited for clarity and length. We would have liked to have fought back at times when we bit our tongue. And just trying to understand that there is a level of fatigue that the industry probably has. When someone says something that is so blatantly wrong, responding to it actually draws more attention to that comment than not responding. 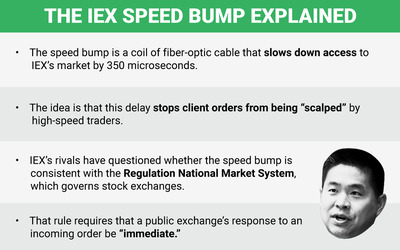 There have been things that we’ve seen — I’ve probably written a number of op-eds that have never seen the light of day — because it is just lying, it is lying, but if I respond to this, if IEX responds to this, have we emboldened that person? 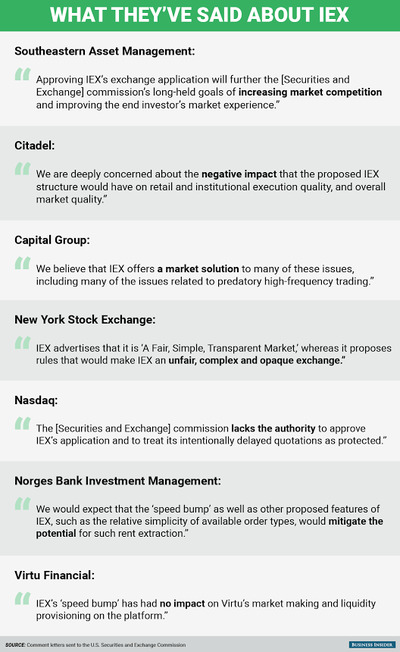 Have we validated their opinion? It turns out that ignoring it at times was the right call. We’ve done that a lot, in terms of trying to say we know we’re right, we know our supporters know we’re right, we’re trying to take the high road as much as possible. 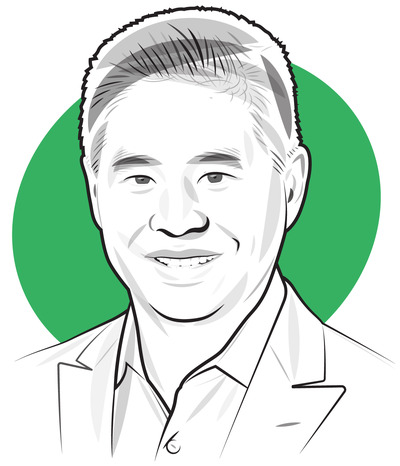 Katsuyama: It made it harder to find those people after the book because the book added another element to why someone would want to work here, other than doing the right thing. I do think it made it slightly more confusing after the book because we got flooded with résumés, and it was hard to understand people’s intentions. Before anyone knew who we were, especially before we had any funding, in those days it was either you believe in this or you don’t believe in this. We started in a 200-square-foot room with no windows, with seven of us.